The Torah instructs us many times to make sacrifices of different animals. The purpose of that process as explained in earlier commentaries is to remove impurities caused by our actions. Here is the first time the Torah gives specific details on the animal, this special animal need to be ” פָרָה “, a red heifer, without any blemishes and one that was never used for work. 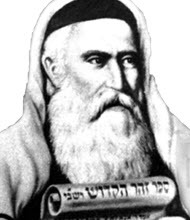 The Ari Hakadosh, Rabbi Isaac Luria, in Sefer Halikutim, teach us that the letter ” פָרָה ” are connection to ” םןץףך “, the five final letters of the Hebrew Alef-Bet. They are equal to 280 ” פָר ” and ” ה ” 5 for the 5 levels of “Gevurah”, the left column of the Tree of Life, starting up from Binah. The ” פָרָה ” needs to be of red color, the color that represents the left column, the desire. The Kohen, slaughter the ” פָרָה ” , let the red blood out of her and splash it seven times against the Holy, then burn her to ashes ” אֵפֶר “. This word is built from ” פר ” and ” א “. The Red Heifer is now reduced to ashes. Before we had 280 + 5 and now 280+1 (for the Kolel). The letter ” ה ” of Malchut is now ” א “, the letter of the seed of Light ” אור “, and the concealed beginning of the Torah. As you can see here the mathematics of the Hebrew letters connecting us to the supernal root, and reveal the energy behind them. The precepts that the Torah is teaching us are the guide and the technology to connect to the supernal. Understanding the code gives us better connection and ability to draw the concealed Light in the Torah. Every story, every action, every letter has a connection to the supernal. During the whole process, every one that touches the red heifer becomes impure. Only the persons that the Kohen splashes the ” אֵפֶר “, the ashes on them, get purified from the energy of death. The three main words used in the process are ” פרה “, ” שרפ “, ” אפר “, has the connection to ” פר “, equal to ” םןץףך “. The first part of the Parasha “Chukat” is read on “Shabbat Parah”, which is the first Shabbat after Purim. This begins the purification process before Passover and the beginning of the New Year that starts with the month of Nisan. During the circumcision process, The “Mohel” (The person that does the act of removing the foreskin from the child’s reproductive organ), need to do the action of ” פריעה “, which is tearing the skin and revealing the opening of the organ. The tearing process should be done with the two hands. The reproductive organ is at the level of Yesod, the channel for the Light, it has the ability to create life and continuation in this world. At the end of it we have the foreskin, which represent death, the Sin of Adam and the Snake. We see the connection with the letters ” פר ” at the beginning of the word ” פריעה “. The process of ” פריעה ” is skipped many times by the Mohels and unfortunately it hurts the child’s ability to connect and channel the Light for himself and for his children. The circumcision is a technology that helps to remove negativity from the child and open his channel for the Light to flow. If a parent wants his child to have better chance connecting to the Light and be righteous, he need to have a Mohel that will follow the whole physical process with the spiritual consciousness. The Zohar, in Tikkun thirty seven of Tikkunei Hazohar, reveal us the process of redemption. The Creator will remember the covenant and will come to remove all negativity and death from the world. This is the secret of the foreskin and ” פריעה “, tearing and bleeding. We are living in the world of death, a world with ends. Life and other actions we do come to an end sooner or later. This is true until we have the final correction of ” פר “, 280 lights that the Creator will correct for us with the five final letters. There will be some “bleeding” before the channel of Yesod will open and existence will be flooded with the Light of the Creator. This is the time of Mashiach and we hope it is coming, Today, Amen.